Injuries continue to be the theme this season. We saw plenty of season ending injuries, to the nagging injuries continue this week. Could it be poor conditioning due to the lockout? It is important to keep an eye on injury reports. Brandon Lloyd was a surprise late scratch. Arian Foster started but was pulled in the second half because of his hamstring. Injured players can also contribute. Santonio Holmes and his bum ankle started and scored, Miles Austin and his bad hammy put up 41 fantasy points, and Tony Romo brought the Boys back with fractured ribs. As we wrap Week 2, we are starting to see trends begin with players. Cam Newton and Ryan Fitzpatrick stayed on the list for the second straight week. There is plenty of gold still left in your Free Agent Pool. Injuries by star players are giving backups the reps to shine. Ryan Fitzpatrick, BUF– If Fitzpatrick is still in your FA Pool, now is the time to pick him out. Fitzpatrick is completing over 60% of his passes and spreading the ball around nicely. His biggest asset is the guy calling the plays, head coach Chan Gailey. The Bills offense has racked up two 38+ point performances back to back, which means more opportunity for Fitzpatrick to shine. He has 7 TDs to 1 Int for the season. 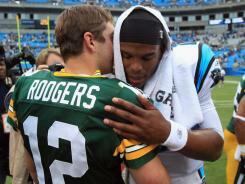 Cam Newton, CAR– Wow…. If you saw this coming, shut up and sit down because you are a liar. Newton is still breaking records in only his second week as a pro. He looked very comfortable in the first half but got too comfortable in the second half. Still I am sitting here trying to dig for the negatives about this kid and trying not to buy the hype. The fact that he is a rookie and that Carolina has the NFL’s toughest schedule are the only big negatives I can come up with. Here are the positives that make it worth taking a chance on him. Newton is completing over 60 percent of his passes. Newton is a threat to run, 2 rushing TD’s this season and over 50 yards rushing in week 2. Carolina is clearly letting him air it out, 46 attempts in week two and back to back 400 yard passing games. Worth the waiver claim. Thomas Jones, KC– Jamaal Charles is done for the year with a torn ACL and in steps the veteran. The 33 year old running back’s better days are way behind him, but he is the first in line to handle the running game for the Chiefs. The Chiefs do not have another clear choice to go to so Jones job looks safe. I would not expect huge results from Jones, but he is worth the bench spot on your team, until a better option emerges. Daniel Thomas, MIA- Was the only bright spot for Miami on Sunday. Rushed for over 100 yards in his debut with a 5.9 yards per carry. Has had some minor injury concerns, but Thomas complements Reggie Bush as the between the tackles back. If Bush goes down this year… ok not if but WHEN Reggie Bush goes down you will see Thomas have a chance at more targets in the passing game. If he is not on your bench then this is the week to pick him up. Could develop into a nice flex option. Eric Decker, DEN- Trying to do his best Ed McCaffrey impression wearing #87, Decker filled in for the injured Brandon Lloyd and made the best of the 9 targets thrown in way. 100+ yards receiving and 2 Touchdowns helped the Broncos to victory. He is competing with the underperforming Eddie Royal for a starting spot. Lots of injuries have given Decker this opportunity. Kyle Orton is known to favor one receiver and load them down with targets. So when Lloyd returns you will see a decline in Decker’s numbers. Denarius Moore, OAK– The rookie posted 146 yards and a touchdown Sunday. 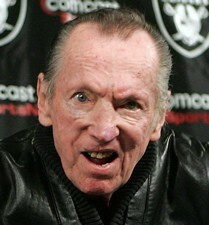 With Ford and Murphy injured this is another speedster that Al Davis has picked to “Go Long”. Oakland hasn’t been able to produce a consistent wideout since Tim Brown, but as long as Al Davis is “calling the plays”, you expect the Raiders to look for the deep threat. Preston Parker, TB- With Mike Williams producing negative yardage, Josh Freeman found comfort in Parker. Eights targets produced 98 yards for the second year player. With Josh Freeman trying to find a rhythm, Parker could shine in the slot as Williams demands the double team this year. Scott Chandler, BUF– Chandler found the endzone again. Only 2 catches, but 3 redzone targets. Fitzpatrick seems to be building a nice relationship with his tightend. Dustin Keller, NYJ– Six targets, Six catches. 101 receiving yard and a Touchdown was a big day for Keller. 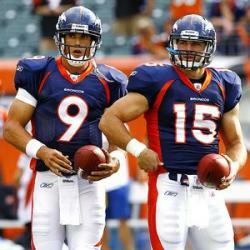 Mark Sanchez has always looked his way, I still don’t understand why people refuse to draft this consistent TightEnd. As Sanchez grows, Keller will get more chances to shine. With the amount of injuries in week 2, several players have stood out. Matt Ryan QB, ATL: Ryan came to play against the tough Eagles Defense. He got banged around all game, but was still able to get the ball in the endzone and find open receivers. The Falcons high powered offense in finally taking off. Hopefully this is the year Ryan takes his game to the next level. Can Matt Stafford stay healthy for 16 games? 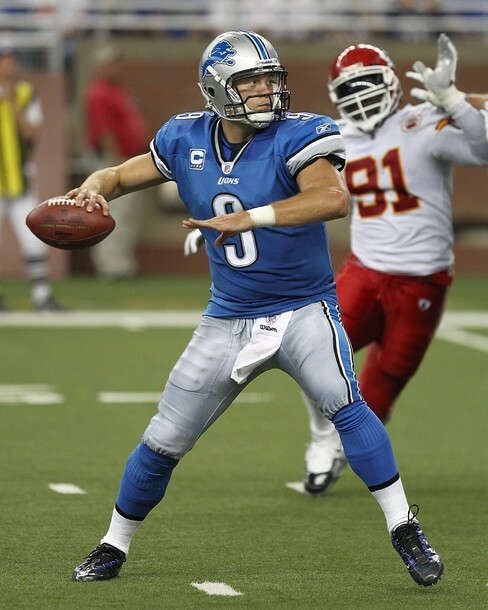 Matt Stafford QB, DET: Another great performance by Stafford with a 30+ fantasy point production. Stafford has been predicted by some to top 30 touchdowns this season, that’s if he can stay on the field. Matt Forte RB, CHI: Forte has put up huge total yardage numbers again. He just hasn’t been find the endzone enough. Looks like a poor mans Marshall Faulk. Javid Best RB, DET: If Javid Best is on your bench, move him up now. This second year back is a threat on the ground and in the passing game. If Stafford and him stay healthy, this connection has very high potential. Best had 110+ total yards and had the ball 25 times. Health and the curse that he is a Lion are his only downfalls. Knowshon Moreno RB, DEN: Being in a pass heavy offense the past 2 seasons has not helped Moreno’s cause. Now with more injury problems in 2011, Moreno’s chances of living up to the fantasy hype are running away from him. If you currently own him, try to sell as high as you can. If you have room on your bench you can store him there and hope for better health and a bigger role in the Broncos offense. Arian Foster RB, HOU: One of many running backs battling to get on the field, Foster has yet to win the battle. I urged everyone to stay clear of him in the draft, and I will continue that theme throughout the season until he can prove he can play 100% and stay 100%. Ben Tate is also stealing Foster’s thunder. The Texans would be smart and shut him down for a few weeks, and get him back 100%. You would also be smart staying away from this 2010 Fantasy Stud for the obvious reasons. ALL INDY WIDEOUTS: With Kerry Collins wishing he would have stayed retired, and Curtis “I Should Have Been A” Painter as the next best option, all hope looks about as broken as Peyton Manning’s neck. Reggie Wayne has been decent with 33 pts so far, but he can hardly receive targets because Collins can’t get the ball out of his hands fast enough with that swiss cheese O-Line in front of him. If you look back at a previous article ( Player Evaluations), I explain how it is important to draft and acquire players from successful teams. The Colts, Chiefs, and Seahawks are reinforcing my point. Antonio Brown WR, PIT: Before this season this kid was on my sleeper picks, and then he was on everyone’s sleeper list before long. The only thing that scared me was the Steelers anti-pass offense. That and the emergence of Emmanuel Sanders has limited Brown’s targets. Many wideouts have left Pittsburgh complaining about this issue and it is something to consider when drafting #2 and #3 wideouts on the Steelers. Donovan McNabb QB, MIN: I do not blame Sunday’s loss on McNabb, it was the head coach that lost them the game. BUT! McNabb came into this season with a lot to prove to all the doubters in the Redskins and Eagles organizations, and he has yet to show us anything. After a disaster performance against the Chargers, he rebounded with 60% completion rate and did throw more than 39 yards. No Touchdowns, or game changing performances on Sunday makes one to wonder when Christian Ponder will be getting his first snaps in Minnesota. You should always be looking to buy low off another team’s rosters and sell high on your roster. Just don’t get trade happy. The goal is to upgrade your current position. LaDainian Tomlinson RB, NYJ- Has seen his better days behind him, now a mentor to Shonn Greene. 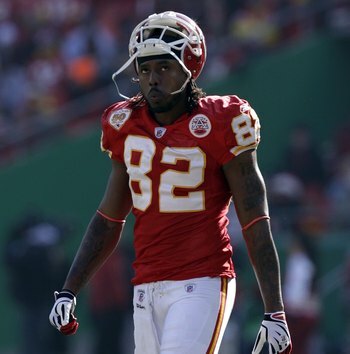 Dewayne Bowe WR, KC- With the current trend in KC, Bowe might find himself on the IR. With his attitude he will have a hard time finding motivation with the Chiefs. Cam Newton QB, Car- His stock could not be higher, will probably have one more stellar week against the Jaguars, but then that tough schedule kicks in. Stay Focused on the Free Agent Wire. Good chance “That Guy” dropped Ben Tate for Cam Newton this week. Seize the Moment. Week One is solid proof why we lust for football. So many storylines, So many unpredictable’s. Let us take a look at the impact Week 1 had on our Fantasy Football Leagues and Teams. Let’s start out and keep this in perspective. It’s just one week. Say that again, It’s just one week. Remember to think big picture. In looking at the possible Free Agents there are several gems that shined, and a couple options that might be worth taking over an injured player. Ryan Fitzpatrick, BUF– The Chiefs defense made Fitzpatrick look like a Pro Bowler. He ranked in the top 20 in 2010 out of all fantasy players. I would not expect 4 TDs and a pass rating of 133.0 every game, but he was very efficient spreading the ball around. Five Buffalo receivers had 5 or more targets verse an above average KC secondary. Cam Newton, CAR– 422 yards, 2 TD, 1 Int, & 110.4 passer rating are off the charts for not just a rookie, but any quarterback would love to have their name next to that stat line. I would try very hard not to get caught up in the hype though. The Panthers were handed the NFL’s toughest schedule this year. Newton will face off against the Packers, Bears, & Saints over the next 4 weeks. I was impressed with his play, as were many. Newton was going up against a weak Arizona secondary that was starting a rookie who they targeted one on one with Steve Smith all game. Ben Tate, HOU– The scouts seem to have got it right. A healthy Tate carried the ball 16 times for 116 yards and one touchdown. Tate does have several obstacles in his way. If Arian Foster gets back healthy, then that limits Tate’s chance at getting carries. Derrick Ward also looked good on Sunday and was a former 1,000 rusher with the Giants. Health concerns also follow Tate who was banged up in Sunday’s game. I would say Tate at least belongs on your bench, if not in your flex spot. Cadillac Williams, STL- To no surprise to me, Steven Jackson is injured. Strained Quad, questionable for Week 2 vs. Giants and will probably linger throughout the season. In enters Cadillac Williams, who rushed for 91 yards and was productive in the passing game (6 catches, 49 yards, 10 targets). Williams has a well documented history of injuries, but when healthy he is a top fantasy performer. Would be a great flex start against a Giants Defense who gave up 70+ yards and a touchdown to Tim Hightower. 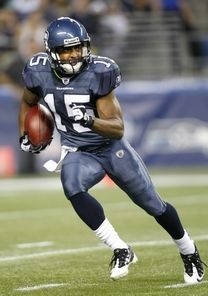 Doug Baldwin, SEA- The former Stanford receiver signed as a rookie free agent with Seattle as a kick returner. On Sunday, he was Tarvaris Jackson’s go-to receiver with 4 catches, 83 yards, 1 Touchdown, and 6 Targets. At 5 10, Baldwin may be hard to spot on the field but his speed and elusiveness stood out against the 49ers. Worth a look on your bench as you are dropping Danny Amendola this week. Jerome Simpson, CIN– In 2010, Simpson shined at the end of the season with back to back 120+ yard games. Even though he did not put up major stats (4 catches, 44 yards) he was targeted 9 times. As this young Bengal team develops, Simpson’s targets may turn into more catches. Roy Williams, CHI- The former 1st round pick looked very efficient on Sunday. Four targets, Four catches. He is a big receiver that doesn’t mind going over the middle. He has the opportunity in a Mike Martz pass heavy offense to shine. Look back in Denver when Cutler had a big and tall wideout named Brandon Marshall. Jermaine Gresham, CIN– If Andy Daulton comes back from his wrist injury, Gresham is his safety blanket. Eight balls came his way against the Browns, with Gresham hauling in 6 catches and a touchdown. In an offense that is going to rely heavy on the run this year, Gresham will be a nice sure handed option in the passing game. Fred Davis, WAS– Rex Grossman almost made my list for FA Quarterback, but then I remembered his years with the Bears and I got my head straight. Grossman did show us that he prefers Fred Davis over Chris Cooley. Davis had 6 targets with over 100 yards receiving. Grossman has always relied on his TE over the years, so it is worth watching how this connection develops. With teams still trying to scramble and implement their playbooks post lockout, there where many players that stepped up and also plenty that took a giant leap back. Jay Cutler QB, CHI: With already a year under Mad Martz, Cutler is figuring it out. Did a great job of distributing the ball around. The Falcons Defense may have came into the season a bit overrated but this was a matchup of the #1 and #2 seeds from last year. Cutler carved them up with 312 yards and 2 TDs. Cutler may have 30 TDs this season, but the only concern is will he have 30 Ints to go along with it? Mike Thomas WR, JAC: The 5 foot 8 inch Thomas is the top target in Jacksonville. With 11 targets thrown his way, we can only hope Luke McCown can turn into a decent quarterback. He has big play ability deep, and can also find success in the open field. Anquan Boldin WR, BAL: Boldin is finally healthy and it showed. Four catches for 74 yards and a touchdown. With Derrick Mason gone, Flacco has Boldin as his main option. You just hope Baltimore doesn’t abandon the pass game like they have done in the past. Chris Johnson RB, TEN: The Titans could have used a little help on Sunday from their recent investment, but Johnson performed like he was still holding out. 49 totals yards was all Johnson could come up with. With his huge payday behind him and stuck on a mediocre team, Johnson has little to play for. While many fantasy owners are all in on Johnson, I have been very skeptical since his holdout. A quick look at recent history, I would say the Larry Johnson effect is on in Tennessee. 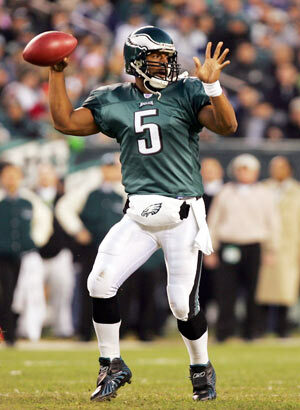 Donovan McNabb QB, MIN: McNabb should have considered retirement after his last season with the Eagles. This once top Quarterback could only produce 39 yards with a pass rating of 47.9. This not only effects the production from the talented Viking receiving core, but the Vikings are going to have to rely on Adrian Peterson even more. Unless McNabb can find some of his old magic, the Vikings are likely to end up at the bottom of the NFC North. 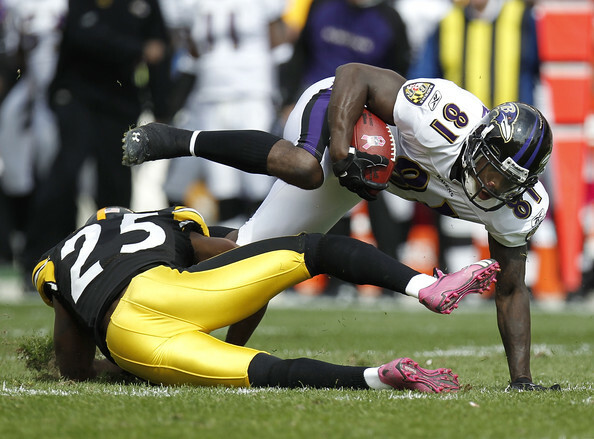 Rashard Mendenhall RB, PIT: Mendenhall had a disappointing outing against Baltimore again. Just like the last time Mendenhall faced the Ravens, he couldn’t rush for more than 45 yards and produced zero touchdowns. I would not push the panic button yet on Mendenhall, but the Steelers also like his backup Mewelde Moore. Vincent Jackson WR, SD: Two Catches for 31 yards is not what you expect from an elite fantasy wide receiver. Jackson looked uninterested and sloppy on Sunday. Luckily for the Chargers, Philip Rivers found Gates and Floyd for 21 total targets. Jackson is capable to putting up huge numbers, but holdouts and contract distractions have been his biggest highlight over the last 12 months. You should always be looking to buy low off other team’s rosters and sell high on your roster. Just don’t get trade happy. The goal is to upgrade your current position. 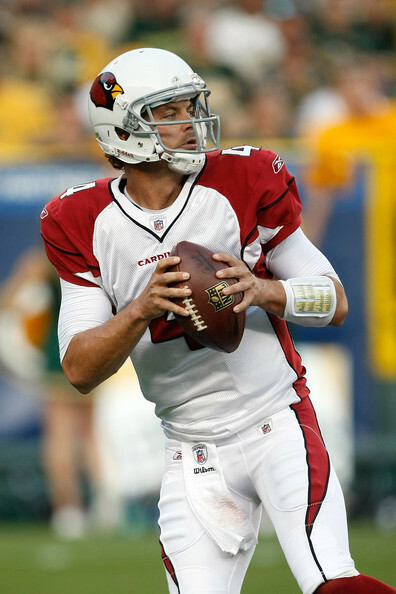 Kevin Kolb QB,ARI- Another 300+ yard game. Consistent and nice weapons. Frank Gore RB, SF- Even though the 49ers won Sunday, the offensive line looked horrible. I don’t see much for the aging Gore. 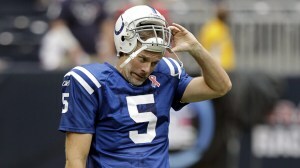 Reggie Wayne WR, IND- Curtis Painter is one Kerry Collins injury away from being the starting QB. This would be devastating for Wayne owners. Sell Now! 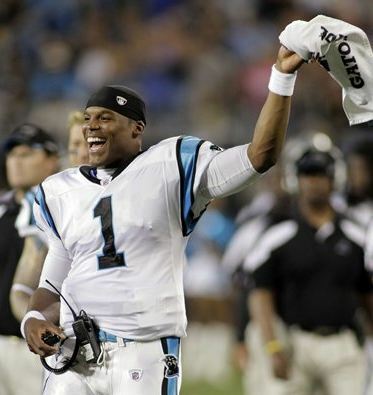 Cam Newton QB, Car- His stock will never be higher in 2011, claim him off waivers and trade him. If Casey is half as good as his brother Clay, he will be remembered as an absolute steal in the 4th round. Philadelphia had 11 picks in this year’s drafts and when I look at how they used it I see it as “honest”. The Eagles were aware of their weaknesses and drafted position by position to tighten things up. A lot of people considered Watkins a reach in the first round, but Andy Reid believes he can be a Week 1 starter. Watkins has good strength and is an adequate pass blocker and run blocker. The one thing I always noticed when he played at Baylor is he is a “play to the whistle” type player so I think he’ll fit in fine in Philly. Jarrett was a good pick up to help solidify the safety position and Curtis Martin seemed like an obvious choice for a team that, at the time, was weak at cornerback position. Making Alex Henery the first kicker off the board made it pretty obvious that Akers was on his way out (which surprised me). They doubled up on centers late with Vandervelde and Kelce clearly acknowledging their need there. Philly did a good job of drafting in positions of need, I just don’t know how many of these players will have an impact. I love the Casey Matthews pick. He was a great player at Oregon and comes from a great line of impact players who were underappreciated in the draft. If Casey is half as good as his brother Clay (who is a leader on the Packers’ defense) then he was an absolute steal in the 4th round. A lot has been said and just how unbelievable the Philadelphia Eagles’ offseason has been. I have not seen this much hoopla about a team’s free agency since the 2007 Patriots when they brought in Moss, Stallworth, Welker, and Thomas, among others. Last season the cornerback position was a glaring weakness for the Philadelphia Eagles but they shored up that position through free agency and trade by bringing in 2 of the top 10 cornerbacks in the league. Mikell was a gigantic loss for the Eagles at the safety position but Page should make for a good replacement and I really do believe it would behoove the Eagles to, at this point, move Asante Samuel to the safety position. Steve Smith was a nice risk to take given Maclin’s mystery illness. I love the addition of Babin and Jenkins. I really believe that they will benefit from Trent Cole in the same way Kevin Smith and Ray Edwards were able to benefit by the addition of Jared Allen. Vince Young was a great pick up if for no other reason, then to do with him what they did with Kolb and McNabb – flip him on the trade market for higher value. The most unsung of this group but maybe the Eagles’ best pick up was Ryan Harris at tackle who should solidify that offensive line for the Eagles but there still remain some questions at center. Mike Shanahan has a reputation as someone who can develop quarterbacks but where does this come from? He inherited a first ballot Hall of Fame quarterback in John Elway and has not had a strong QB ever since. That being said, QB is the most obvious weakness for the Redskins and I feel that they made a huge mistake in trading down when they could have drafted, who I believe to be, the best quarterback in the draft in Blaine Gabbert. Any time you get the opportunity to draft a franchise quarterback, you need to take it and I feel like this is a mistake that will haunt Washington fans for years. However, the Redskins did get great value in trading down and Kerrigan and Jenkins should do wonders for their front four. The pick that Redskins fans should be excited about is landing Nebraska running back Roy Helu in the 4th round. This kid is a strong running back who in college could easily break tackles and can accelerate in the gaps. I really think that Helu has a bright future as a number one running back in the NFL. Mike Shanahan got younger in the front four completely rebuilding it this offseason. He addressed this need with the first two rounds of the draft and then went out in free agency and signed Barry Cofield, and Stephen Bowen who is one of the better young defensive ends in the league. 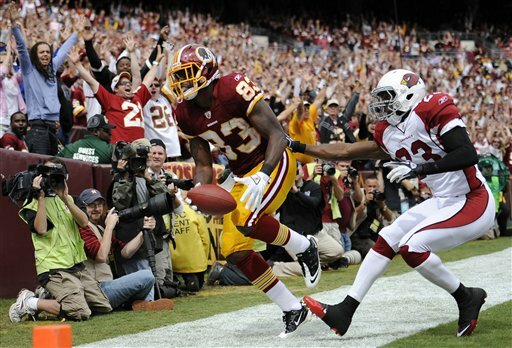 Re-signing Santana Moss was a necessity and the addition of Stallworth and Gaffney bolsters that receiving corps. Chris Chester was a really solid pick-up as well to help strengthen a weak offensive line. I will continue to say that I feel like the McNabb trade was a bad decision for Washington because after passing on Gabbert and trading Donovan, the Redskins are without a QB. I do like the Tim Hightower trade quite a bit for Washington and between Hightower, Helu, and Torain, Shanahan should find a tandem that he can work with in his famous “running system”. From a value standpoint, the New York Giants had an excellent draft. I really did not think that Amukamara would fall past the Detroit Lions at 13 but he fell to the Giants and they were wise to take him. Marvin Austin should help out that defensive line of theirs. He fell because he lacks consistency but he has the talent to be an elite defensive tackle. The two late picks of the Giants that I really like for them is James Brewer in the 4th round who has the skills to be a servicable tackle and could help out their O-Line but I feel that they did not do enough to address their aging offensive line. Tyler Sash was a good risk to take in the seventh round. He was a standout safety at the University of Iowa and was a cornerstone of a great defense. In college he was an aggressive player who was a great tackler and had an ability to get his hands on the ball. He has some parts of his game he needs to tighten up to play at the pro level but has the potential to do well in that Giants defense. New York was so cash-strapped going into this season that they really couldn’t do much in free agency. They were able to re-sign their top two priorities in Ahmad Bradshaw and Mathias Kiwanuka. The Giants already had offensive line issues and now have lost Shaun O’Hara, Rich Seubert, and Shawn Andrews. I do believe that David Baas is an upgrade for them over the aging O’Hara and I like the addition of Stacy Andrews but I feel this line has a long ways to go. I do see the Steve Smith loss really hurting this team because, if nothing else, he took pressure off of Hakeem Nicks. Overall the Giants were able to replace what they lost which still leaves the Giants looking pretty average in a much improved NFC. A lot of people criticized Dallas for not trading out of their pick to try and get more value at the offensive tackle position but the Cowboys got the man they wanted in Tyron Smith and 9th overall and I believe he was a perfect pick for the Cowboys. I believed that the Cowboys needed to fix their offensive line issues and so the fact that they waited until the 4th round to continue to do that was confusing. The Cowboys also should have addressed the cornerback position earlier. Given the departure of Marion Barber, the DeMarco Murray pick makes sense in the 3rd round. The best value pick here was Dwayne Harris who is a small, speedy receiver with great hands that should do nicely in the slot for the Cowboys offense and provide a great target for Tony Romo. The best offseason move the Cowboys made was removing the interim tag from Jason Garrett's title. The Cowboys had a down year last year in a season where many had them pegged to represent the NFC in the Super Bowl. With Tony Romo healthy again and a new head coach, this is a team that hopes to bounce back in a serious way. Jason Garrett was the only man for the job and as one of the hottest head coaching candidates available, the Cowboys were smart to hang on to him before he left to go elsewhere. Then Garrett turned around and brought in one of the best defensive minds in the game in Rob Ryan to help that Cowboys defense regain old form. Like the Giants, the Cowboys were limited by their cap situation but that did not stop them from re-signing most of their important players. Roy Williams was going to be gone regardless and the Cowboys are sold on the future of Felix Jones and Tashard Choice (along with DeMarco Murray) in that backfield. Sensabaugh is a good safety but the addition of Elam at that position was a great move by Dallas. The loss of Marc Colombo does hurt, but Tyron Smith should prove to be an upgrade at the position. When I look at the landscape of the NFC East, it’s kind of a mixed bag. A strong Philadelphia Eagles team drastically improved almost overnight. The Redskins have gotten stronger at some positions and weaker at others. The New York Giants look like a team that will once again, just miss a wildcard spot, and the Dallas Cowboys didn’t do much but they did fire their head coach and they do get their Pro Bowl quarterback back in the fold which should make a huge difference. As always, this is going to be a fun division to watch. This season ESPN and NFL.com both made, what I consider to be, a mistake. Like any sports media they issued grades for the free agency period post lockout but they did so while players like Braylon Edwards, Steve Smith, Malcolm Floyd, and Ronnie Brown were still on the free agent market. Additionally they did not factor in any pre-lockout acquisitions or re-signings (though these were few) into the free agency grades. Free agency grades also don’t take into account one of the most important free agent acquisitions of all – coaching hires. The first offseason grades that we saw were in the hours following the NFL Draft for how well each team drafted. While draft grades (as are free agency grades) are speculation based on how well the collective media think players will fare for a team years down the road, we as fans still enjoy having an “expert opinion” on how well our team drafted. F Range – What the heck were you thinking?!? Today I give you the NFC North, a division that many believe could be among the best in the NFL this season but what do the grades say? As a Vikings fan, the athleticism of Cobb and what he can do for that Packers offense, scares me. After winning a Super Bowl with many of their best players on the sidelines, the Green Bay Packers clearly felt they needed to improve an already dynamic defense by using their first three picks on the offensive side of the ball. The past couple of years, Jared Allen, Kevin Williams, and Ray Edwards spent more time in the Packers backfield than Ryan Grant so finding a strong offensive tackle like Mississippi State’s Derek Sherrod was an obvious choice with the 32nd overall pick. While there are concerns about how agressive Sherrod will be there is no question about his desire to work and ability to run block which plugs a major hole for Mike McCarthy’s offense. The two players I love in this draft for Green Bay are Hawaii’s Alex Green and Kentucky’s Randall Cobb. Green Bay desperately needed to find a running back but really were not in a position to fill this hole before the third round. Thompson has always been about getting the best player on the board and there is no reason to question his tactics. I think Cobb will make an immediate impact as part of the Green Bay offense and was a great insurance policy for James Jones (who did re-sign after lockout) and opens the door for the departure of Jordy Nelson after this season. With the emergence of wildcat -type schemes in the NFL, do not be surprised if the SEC quarterback is used in this role as well. While I do like the Packer’s draft, I really thought they would try and find a pass rusher in the first three rounds but instead waited until late in the sixth round to select a defensive end. Aaron Rodgers lobbied for the Packers to bring back Jones, a favorite target of his. The Packers could have looked across the NFL and seen the NFC powers (Eagles, Saints, Falcons) gathering arms and bolstering their rosters. The difference between the Packers and these other teams though is that the Packers just won a Super Bowl. They had very little cap room and did what they do best – kept their best guys and made few moves. They brought back a solid kicker in Crosby (which teams with playoff experience know is important), a guy who can get in the endzone when he has to in John Kuhn, and were able to keep James Jones from signing with the rival Vikings which makes Green Bay loaded at wide receiver. Additionally, the Packers will see a number of their stars back off the DL this season which makes another Super Bowl run very feasible. At 13th overall, Nick Fairley may have been the biggest steal of the 2011 Draft. In one swoop, the Lions were able to get their hands on a top 5 talent in Nick Fairley and potentially establish the best defensive tackle tandem in the NFC North with Fairley and Suh. That’s saying something considering that for many seasons, the North has boasted the Williams Wall who are historically speaking, the best run stopping tackle pair of all time. And the Lions are going to have to be able to stop the run when their division has the likes of Matt Forte, Ryan Grant, and Adrian Peterson. 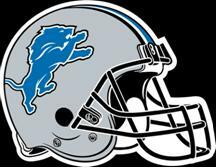 Additionally Titus Young provides another great young target for quarterback Matthew Stafford and Mikel Leshoure paired with 2nd year running back Jahvid Best could give Detroit a powerful 1-2 punch. In Douglas Hogue, the Lions got a hard-hitting and speedy linebacker that could have gone a lot earlier. Overall, with only a few picks, this was an excellent draft for the Detroit Lions. Tulloch is a great fit for the Lions and was a great and unheralded move for Detroit. Detroit gave themselves a solid defensive front four in the draft after taking Nick Fairley 13th overall. The Lions focused their free agent signings on tightening up the rest of their defense. The Lions should have a pretty solid rush defense (important against Chicago and Minnesota) with the addition of Stephen Tulloch and Justin Durant. Tulloch is a great tackler who, behind Suh and Fairley, keep Peterson and Forte from doing too much up the middle. Eric Wright is a risk worth taking at the cornerback position as he has great upside and it was important for the Lions to get Houston back on board as well as bring back Stanton given Stafford’s injury history. While there weren’t any “big names” signed, the Lions addressed their needs on the defensive side of the ball but there remain some major questions on the offensive line. Gabe Carimi is a big, strong, athletic tackle who should be able to start for Chicago immediately. If Nick Fairley wasn’t the best value pick in the first round, then Gabe Carimi might have been. I really did not believe that Carimi would fall that late in the first round. Regardless of what you might say about Big Ten football, the Big Ten produces two things better than anyone – offensive linemen and middle linebackers. Carimi is no different – he is a big athletic, run blocking tackle who can start immediately. I really like the Christopher Conte pick-up in the third round for the Bears. Though he only started at Cal for his senior year, he made the most of it. He has great size and is pretty fast which makes him a hard-hitting safety, he’ll be right at home in that Bears’ defense. Enderle kind of confuses me because they have a very capable back-up in Caleb Hanie (as seen in the 2011 NFC Championship) but Enderle does have a big arm and some real upside. I think they should have tried to use what few picks they had on a wide receiver or another offensive lineman. Roy Williams and Mike Martz have a history together so Williams makes sense for the Bears. The Bears did a lot during free agency, I just don’t know how good it was. The four biggest signings are probably the ones that Bears fans either dislike or don’t know about. Roy Williams is a perfect fit for the Chicago Bears given that he fluorished in Mike Martz’s offense in Detroit and I really believe that he will rebound this year and lead the Bears in receiving. I like the addition of Adam Podlesh who is a good punter and should help that Bears defense play with some longer fields this year. 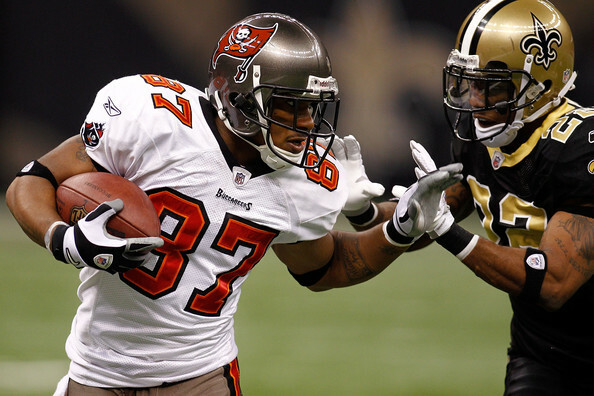 Vernon Gholston and Amobi Okoye were both great value signings. While they are both first round draft busts, the Bears gave up next to nothing for them and if Lovie Smith and Rod Marinelli can get one of them to even realize half of their potential – it was definitely a risk worth taking. I hate the Chris Spencer move because even though Kreutz is in decline he is still a strong center and good locker room guy. Spencer is unproven and the Bears may have been better off signing Kreutz for one to two years and looking for a center in next year’s draft. Marion Barber does provide some competition for Chester Taylor and is an okay signing. Spaeth was a good signing as well but is in no way a replacement for Greg Olsen. 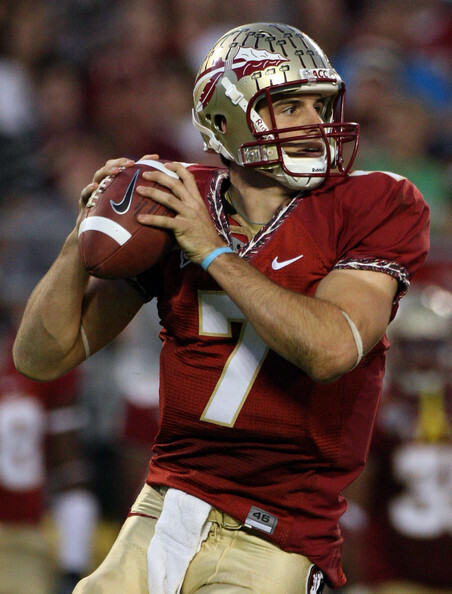 Years from now, the entire Vikings draft will be based on how good of a quarterback Christian Ponder turns out to be. Whether or not Brett Favre will play in the NFL this year remains to be seen but it is rather clear that he will not be back with the Vikings. In what many viewed as a rather weak quarterback class, the Vikings took the 4th quarterback off the board with the 12th overall pick in Florida State’s Christian Ponder. Nobody has reached as hard as the Vikings did taking Ponder 12th overall since Santa Claus last tried to touch his toes. Many consider Ponder the most “NFL ready” of the class but when Andy Dalton was taken in the 2nd round, it seems Minnesota could have gotten their guy later in the draft. Many comparisons have been made between Ponder and Hassleback and if Christian Ponder is indeed Matt Hassleback in a couple of years – then this looks like a stroke of brilliance. For now, it seems to be a reach. For Vikings fans not only will Ponder be compared to Dalton and Ryan Mallett but he will also be compared to Prince Amukamura, Jimmy Smith, Gabe Carimi, Nick Fairley, Nate Solder, and Adrian Clayborn – all players who could have filled immediate needs for Minnesota. The Vikings had a solid rest of the draft however in taking the best tight end in the draft in Kyle Rudolph and getting a steal with Christian Ballard in the 4th round. He could be a great defensive tackle in another year or two. I believe that Brandon Fusco will prove to one day be a steal and can be a great center in the league, a position the Vikings have struggled to fill since Matt Birk left for the Ravens. And Stephen Burton was a risk worth taking in the 7th round. 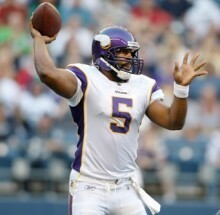 Vikings fans hope to see the Philly edition of Donovan McNabb in purple this year, not the Redskins version. Of course the big news out of Vikings free agency is getting Donovan McNabb for next to nothing. This is a great pick-up by Minnesota as it provides them a quarterback who can help them win now while Ponder learns the ropes. While Hasselback may have been the better fit given Ponder’s style, McNabb is a great pick up for a Minnesota team just two years removed from an NFC Championship berth. The Vikings also got two very solid pick ups in Charlie Johnson from the Colts who now will be forced into the left tackle role and Michael Jenkins, a sure handed receiver who is familiar with new offensive coordinator Bill Musgrave. The Vikings have seen three of their coordinators be hired away to coaching jobs in the last 15 years only to go on and win Super Bowls (Tony Dungy, Brian Billick, and Mike Tomlin) and were not about to let hot coaching prospect Leslie Frazier leave. He has the respect of the locker room and this is a win for the Vikings. Frazier also has brought in Mike Singletary to help the linebacker corps. Ryan Longwell’s re-signing was a priority given that he is one of the league’s most accurate kickers and there wasn’t much available on the free agent market. Minnesota’s biggest loss is without a doubt Sidney Rice, a young deep threat with leaping ability who was the best wide receiver available in free agency. Overnight, Minnesota went from having a great receiving corps to a decent one at best. Ray Edwards will be missed opposite Jared Allen as will Ben Leber. Overall this is going to be a very different Vikings roster than was seen the past two years. Overall, the NFC North has taken significant strides forward. The Green Bay Packers have put themselves in a great position to become the first NFC team since, well, the Green Bay Packers to make back-to-back Super Bowl appearances and the Lions continue to build a promising young team. The Bears have solidified their defense and brought in some help on offense while the Vikings have taken some risks that could pay off big or could leave them where they were last season. Overall, I see the NFC North being a tough division that could once again send multiple teams to the playoffs.